45 Days. 43 Sponsors. Let’s do this. We have come so far. Congress is beginning to listen. A bill has been introduced in Congress. H.R. 6557 – the Inventor Protection Act. It will restore patent protection for inventors. But it will not move forward without you. You must insist that your Congressman or Congresswoman co-sponsor this bill so that it can be voted on and sent to the Senate, and then to the President. There is no time to spare. Do it now. Our nation depends on inventors, inventors depend on patent rights, and patent rights depend on you. Look up your representative. Click on the link to their website and search for the contact info for the local office. Call, email, or complete the form asking to meet with the representative. Follow their instructions. You probably will be asked to fill out a form or send an email to set up a meeting. Explain that you are an inventor (or simply a concerned citizen), and you need to speak to your representative about the serious problems in the patent system and about the Inventor Protection Act. You can meet them in the local office or in Washington, D.C. If you need help with travel expenses let us know. You have to be persistent. Don’t let them give you the run around. Explain that you are prepared to work around their schedule, but you must meet with the Congressman or Congresswoman. They may not realize it, but this is one of the most important issues facing the nation. You are competing for their time with professional lobbyists paid to divert their attention for thousands of other issues that are not as critical as this. Scheduling and bureaucracy are the only obstacles. You must overcome the obstacles to get the appointment. Read about the bill and watch the documentary on Amazon. When you have an appointment you are most of the way there. Contact us to complete preparation for the meeting. 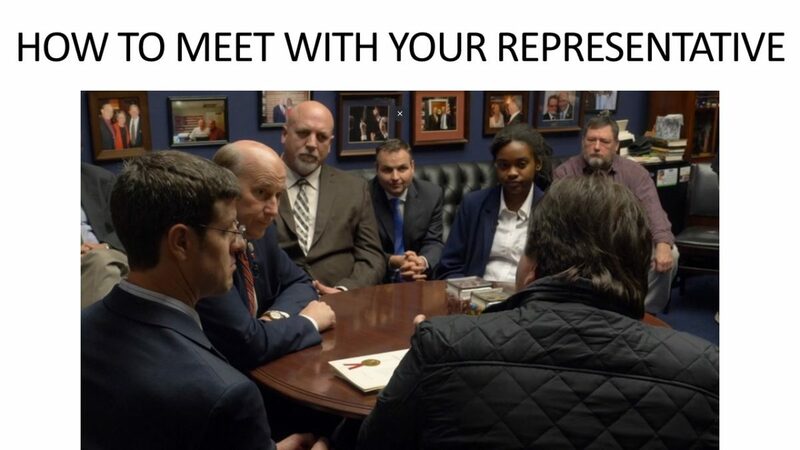 It will involve connecting your personal story to this cause, reviewing the main points of the bill and the problems it solves, and setting closing strategy tailored for your representative. This approach is extremely effective and most of the time results in the representative saying yes.